So for my hubby’s birthday, I decided to give him a gift and bought a cooking class certificate. 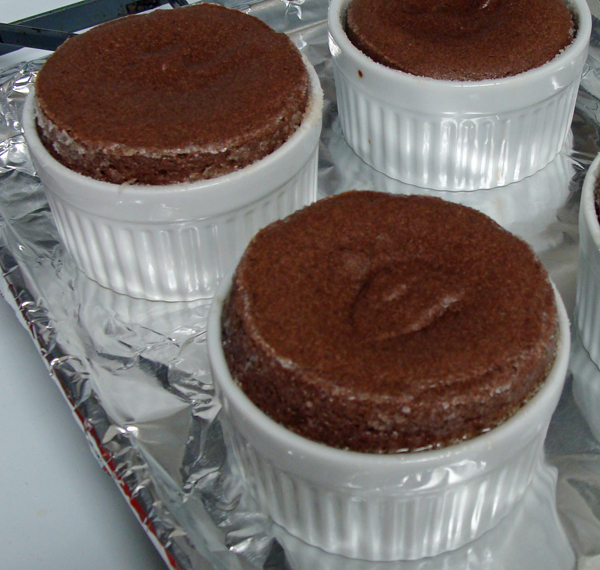 He went last weekend and told me that they made a Chocolate Soufflé in class. Being a chocolate lover that I am, I begged him to re-create it at home. So today, he made the most chocolaty, decadent soufflé I’ve ever tasted. It rose and everything, it was amazing. Good job baby, I am proud of you. Now maybe you’ll be the baker in the family!